It’s here! The end of 2014! 2014 marked a lot of changes for me. It was my first full year working a real job, it was my last year as a teenager *gulp*, I began college, completed my Dollfie Dream, and bought a car. 2014 was filled with many small accomplishments in my personal life, but somehow feels underwhelming as a whole. In my hobby life, 2014 meant another year for Never Outgrew Toys where I’ve met plenty of new people and even hosted a postcard giveaway. 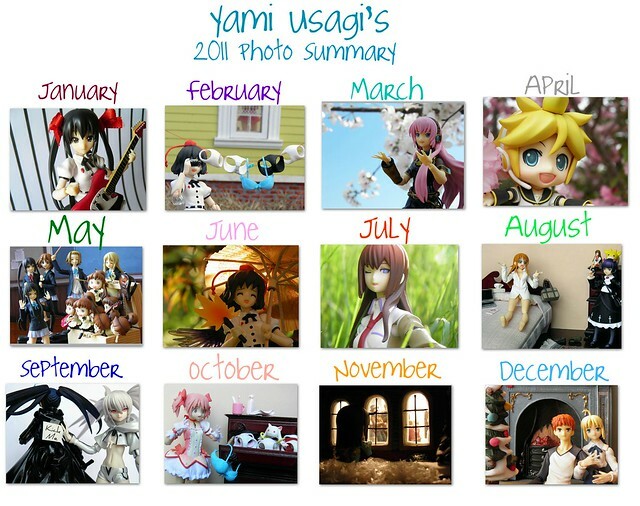 This year was also my lightest in terms of new figures as I only added nine to my collection. That number includes scales and nendoroids! And matching the few new figures this year is equally few reviews because as college entered the picture, my motivation and time for figure reviewing shriveled away. This extended to sewing where I also made little progress. Looking at 2014 in my hobby life, the year began well, but I am not proud of how it ended. But while viewing 2014 as a whole makes me feel unaccomplished, it is undeniable that 2014 was filled with its own unforgettable moments, and remembering them shines light on what can otherwise be seen as a gloomy year. I do want to be clear though that as far as my personal life is concerned, I did have a great year. I just stagnated creatively mid year more than wanted. That is not entirely abnormal for me though as I spend my winters waiting for spring. Now on to the photo summary. This tradition sprung from my early days on DeviantArt where many artists make progress memes to track their yearly improvement. I was drawing at the time, and not very good at it, so being able to make a chart showing progress was a mere dream. However once I began photography, that dream was given life, and I now enjoy making photo summaries both for self evaluation, and to share with everybody who has supported me throughout the year. Merry Christmas everybody! It’s actually only Christmas Eve here, but I’ve always found the day before to be more festive than the day itself. Because anticipation! I tend to scramble for photos as holidays draw closer, so I don’t really have a special planned out photo shoot. 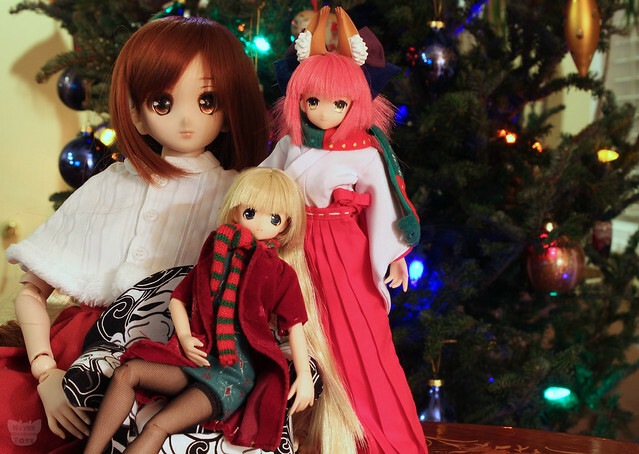 But what I do have are some images of my dolls enjoying Christmas! This is Tamaki’s third, Kagura’s second, and Celeste’s first Christmas. 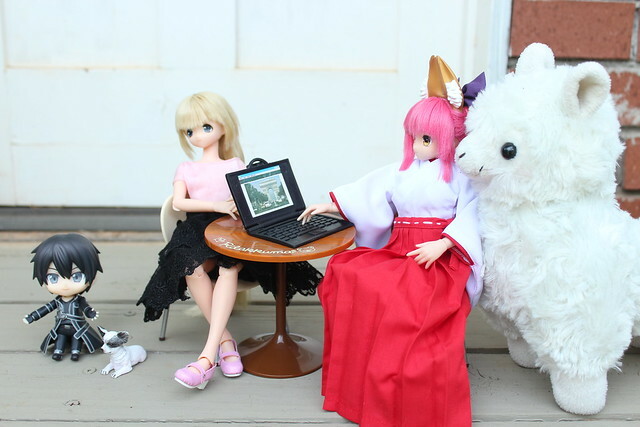 That makes it their first all together, and my first having a Dollfie Dream. I hope to celebrate with two next year! Another thing I scrambled on was clothing, so only Celeste has a new outfit *mostly* made by me. The Pureneemos are wearing a mixture of old clothing, but I tried to make it look festive regardless. This week has goodies of all kinds to enjoy, so let’s get started! This story puts my shoddy editing skills to the test. Many people can experience the same thing, but through the magic of perspective, the simplest of events can become complicated. Part 1: Tamaki and Kagura’s perspective. It was a day like any other in that nothing much was happening. Review: figma Miku Hatsune Sailor Suit ver. Today we’ll be looking at one of my must-have figures, figma Miku Hatsune Sailor Suit ver. by Max Factory. Many are aware of Miku Hatsune’s overwhelming presence in the figure world. Being a highly versatile virtual diva makes her widely known and an easy sell. For these reasons, Miku can be described as “overdone” as figure after figure of her saturates the market while other overlooked characters(even other Vocaloids) go without a single figure. But the worthwhile thing coming from her saturation is lessening of risk for companies. Figure makers need to make profit like everybody else, and for any number of reasons, some characters or particular costumes are simply too much of a gamble to spend time and labor producing for minimal or uncertain return. But when a character rises to super stardom like Miku has, the gates of possibility suddenly swing open. Super cute Miku is still as popular as ever, but her status as a hot commodity has made unique figures like World is Mine, Deep Sea Girl, Love is War, Romeo and Cinderella, and even the disturbing Mikudayo possible. Various artists even design for Miku under the Snow Miku and Goodsmile Racing guises producing creative Miku after creative Miku. Official art can lose its flavor after some time, so I enjoy seeing what the public creates for Miku which is what Miku has always been about. And even if a chunk of the collecting community may cry foul every time yet another Miku figure is introduced, with the number of unique Mikus on the rise, I can’t help but be excited to see what will be next. A promo image with sugar sweet Miku. Another installment of Figma News Fridays! This week has release announcements and some previews to look at, so let’s get started! Are you set to be one of the recipients of the cute and slightly risque Shimakaze? If so, you have some more time to save for this expensive cutie because she has been delayed from May to June. Once again it is time for the long awaited loot! 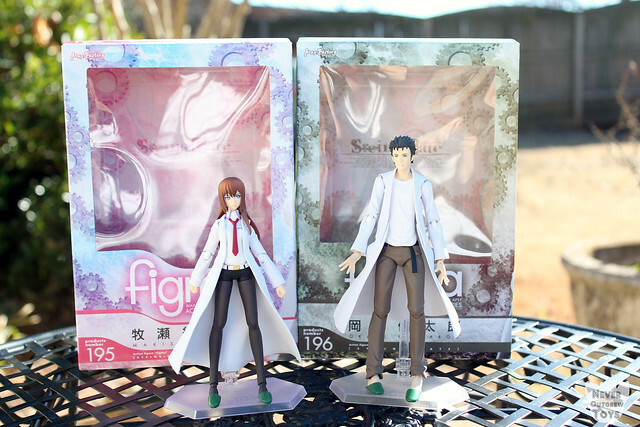 There has not been a single figure for the last several months, but April’s loot finally remedies that with not one, but three figmas and goodies to boot! Miku Hatsune Sailor Suit ver., Eren Jaeger, Mikasa Ackerman, mini Danboard strap, and Doge. After a week long break from figma news thanks to Golden Week, it’s time to dive back into the world of plastic! Well, we may only be getting our ankles wet with just a little news. So let’s get started! Miho will be released on May 22nd! It’s May already! The weather is quite nice here– even if my horrible habit of sleeping in late and then working all day means I do not get to enjoy it as I’d like. The beginning of May also marks the descent of a black cloud of silence over our hobby which is known in Japan as…Golden Week! Yes, Golden Week, that group of holidays in which our favorite hobby stores shut down and our precious packages still trapped in their homeland may or may not move for a while. But our favorite companies and stores are always hard at work providing us with things to drain our wallets with, so why not give them a break? There probably will not be much news to share next week, but until then let us enjoy these tasty figure tidbits. I thought there would be just one piece of news this week, but two others popped up which are sure to make some fans quite happy.